THE BATTLE OF THE MEATAABALL!! The meatball here is made from veal, pork and beef and is topped off with a normal marinara sauce. You can choose to have a hoagie for $12 or a roll for $9. 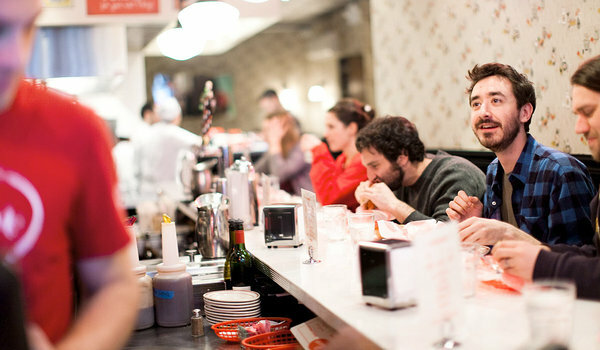 The counter is only open till 5PM but you can always enjoy a sit down in their main restaurant. The Pizza sandwich – whoa – has the following in random order Pepperoni, Meatball, Capicola, Marinara Sauce, Provolone Cheese, Mushroom and Italian Seasoning. If youre a health nut then maybe once a month is a good idea. If you’re like totally fit and sculpting your bod is a passion right up there with breathing, then…we recommend getting a life and eating two of these monsters. 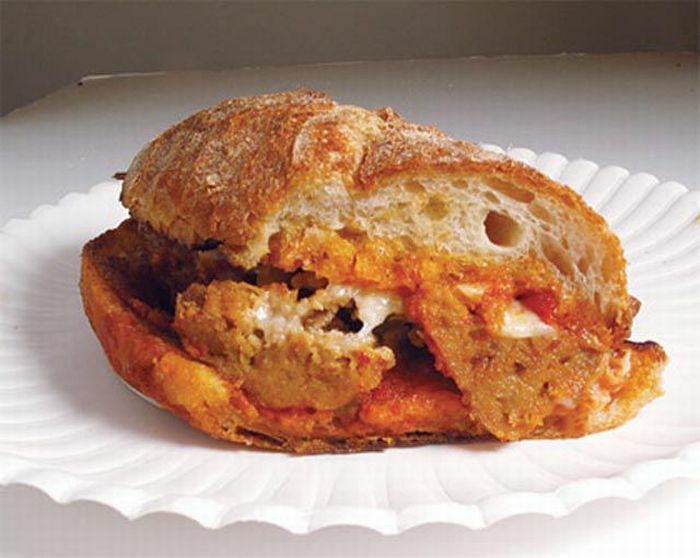 This meatball sandwich is Chicken and Pork based with a cream based tomato sauce. The bread is hallowed on the inside and they use olive oil instead of Mayonnaise. We’re feeling healthier just thinking about wanting to eat this. FYI – They don’t have the sandwich on the menu but you can request the order as a special– BOOM! 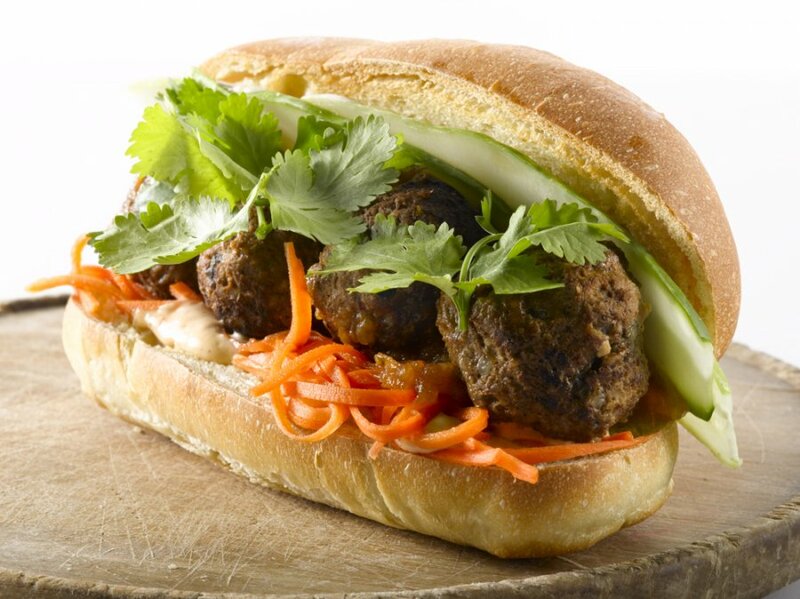 This is a delightfully airy and decked out contender, with hoisin meatballs layered with jasmine rice, basil and a few dollops of stewed tomatoes. *sniff-sniff* go get one if you’re in the area otherwise we’ll see you on the 6 train. 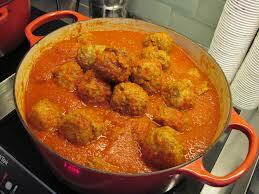 Daniel Mancini – head of Mama Mancini – serves these beef, pork and turkey meatballs. Its real simple, get ‘em in a cup or in a sandwich. Pick some cheese, get some toppings and chow down you hungry beast! Previous Entry:Be Healthy and Wise.